Since many of you who read and follow this blog are somewhat newer, and because I'm now reaching an extended audience through Google+, I thought I'd dig through the archives of this blog and re-post some d30 downloads from the past. Some of these were intended for the d30 Sandbox Companion but were left on the cutting room floor. 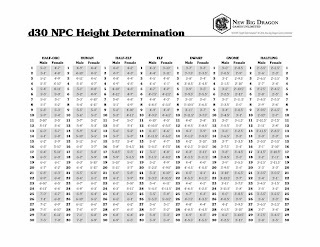 Others were intended for the d30 DM Companion but didn't really make sense there. 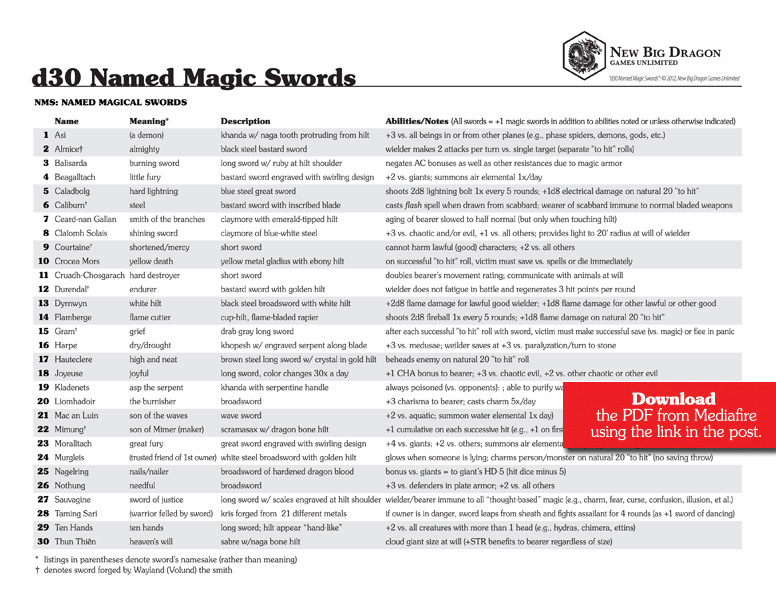 To download a free PDF of this d30 Named Magic Swords chart, click here. 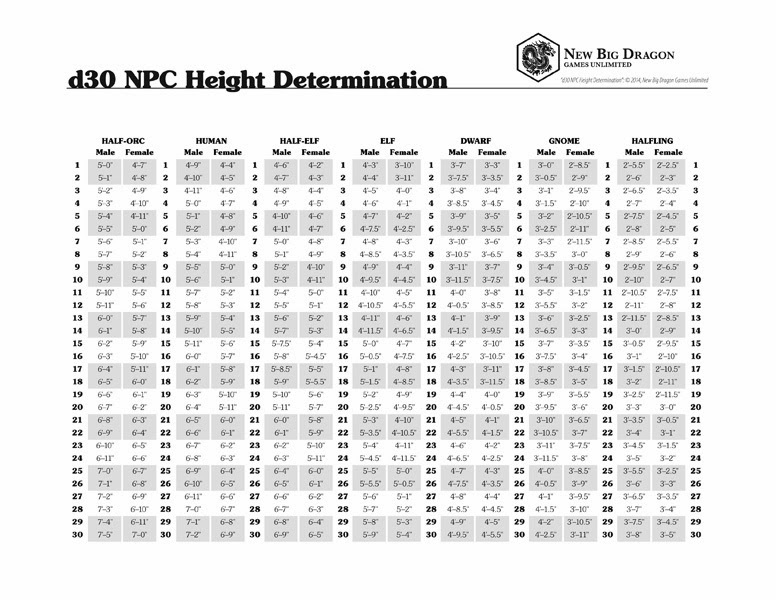 To download a free PDF of this d30 NPC Height Determination chart, click here. 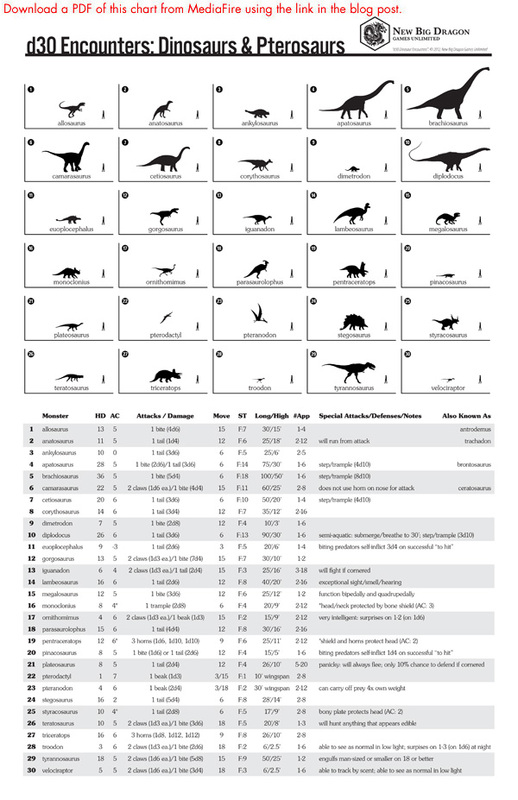 To download a free PDF of this d30 Dinosaur Encounter/Stats Page from MediaFire, click here. 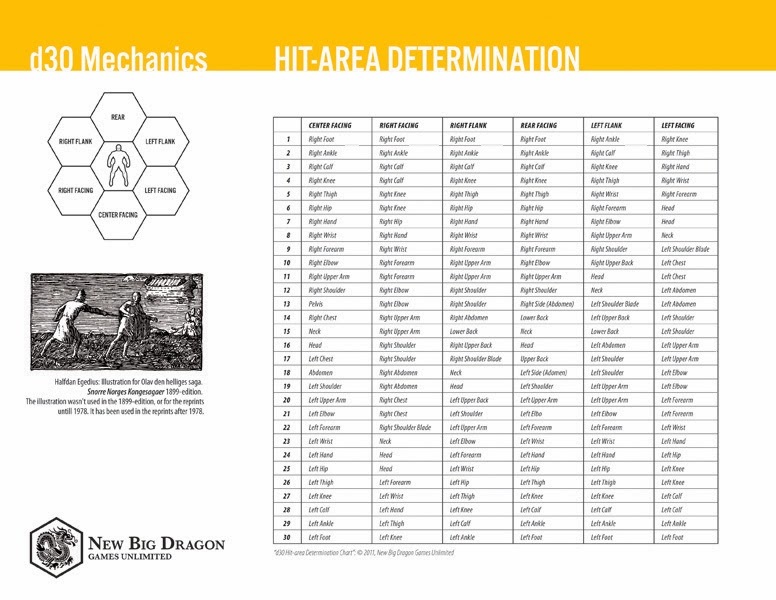 To download a PDF of this Hit Area Determination chart fromMediaFire, click here. Cool! Thanks! Love the d30 books too! I promise, I'm not resting on my d30 laurels.